Sorry for posting this so late but I just found this forum. This event is August 20th and is the 2nd annual. It involves a poker run from Victoria to Mt Washington. 7 checkpoints along the way where you will receive a playing card. Once we reach the final destination all cards are handed in and top 3 hands win cash prizes. At Mt Washington there is a silent raffle and car show. We also have a banquet dinner with prizes being awarded. Raffle items are just great and include 5 trips to any hotel resort in the Americas for a week, 1 trip to Calgary to attend Allen Berg F1 racing school, Golf packages, Tigh-Na-Mara packages, and many, many other things. Checkpoints will have BBQ's and participation freebies for participants. So far 79 people and 50 cars have registered. Please PM me for more details on how to register. Open to all Japanese Imports, come have a great cruise and enjoy a wonderful dinner and event, and win some cash/prizes, and best of all help send disabled children to camp. One day left to register or to confirm your registration for this event. If you have confirmed already and haven't purchased your participation envelope, please do so. I have an extension until Monday to have the numbers up to the caterers. OK well ONE WEEK LEFT till the 2011 Poker Run. Paricipation has dropped off as it did last year, which is a bit disappointing, but based on the fact that this event has only been advertised on the local forums I am still pleased with the turnout as it is better than last year, and last year we not only had a blast but managed to raise enough to send two disabled kids to summer camp. That is what it is all about. However if you missed it and really want to attend, I can still sign up a few people. I got an extension to have the numbers into the caterers till Monday so I can accept registrations up until then. I can probably sign people up until the day of the event but not in huge numbers, but please if you missed registration and can still make this event PM me or email me and I will do my best to get you on the list. 1) You can pay $50.00 which would entitle you to a dinner as well, and that includes a $20.00 donation to Camp Shawnigan. 2) You can pop up to the Mountain with us and offer up a donation. Either way we would be happy to have you. If you want to donate just ask for me (Dave Donovan), or my brother (Al) or my wife (Ellen). We will gladly accept your donation. See the list of participants below. If your name is on the list in BLACK, that means you expressed interest in attending but I have been unable to contact you to confirm your attendance. If anyone can get into contact with these people please do and forward them onto me. If your name is in light green, then you have confirmed that you are attending but just have not paid as of yet (Please contact me to arrange for payment as there is only ONE week left), and if your name is in dark green, well your all paid up and ready to go. I will be handing out participation envelopes which will contain some freebies and your maps and you car number. I will have these at the Friday night meet (19th), as well I will have them Saturday morning. Come see me. Please arrive at the Starting Point no later than 9:30 to check in. You can then head just up the street for gas (Chevron about 3 minutes away), then come back for the start. Big thanks to those that have committed to this event..., I appreciate you time and your generosity. I look forward to seeing you all again and the new faces. Please be at the parking lot Saturday no later then 9:30am We will be leaving by 10:00. See you all this weekend, and Thanks to Everyone that has taken the time to attend this event! 1) Gift Certificate for F1 race training in Calgary by Allen Berg F1 Race School. 2) One MoMo Italian leather shift ****. 3) One bottle of Flash Detailer spray (30.00 value). 4) Two sets of HID replacement bulbs for any vehicle. 5) Two $50.00 gift certificates from SHC Automotive. 6) Three 50% off gift certificates from Dynamic Concepts, maker of the LED WindRestrictor screens. 7) One gift certificate for full auto detail at Discovery Honda. 8) One 41 piece emergency auto safety kit. 9) Six Tom Tom GPS units. 10) Gift Certificate from Tigh-Na-Mara resort and spa for accommodations and grotto spa ($300.00 value). 11) Gift Certificate from Arrowsmith Golf and Country Club for free round of golf including carts for four plus ($300.00 value). 12) Two full size roadside emergency kits. 13) One wooden garden hanging lamp. 14) Two $50.00 gift cards from Crème de la Crumb. 15) Two pairs of ski passes for Mt Washington resort. 16) Two pairs of tubing passes for Mt Washington. 17) Three $100.00 gift certificates from A&J Racing in Richmond. 19) One full auto service including fluids from 5252 Motorsports in Victoria. 20) One $100 and two $50.00 gift certificates from Modifry in South Carolina, makers of support items for the S2000 (wire harness to make your audio buttons work with a aftermarket head unit, and many more). 21) Free racing certificates from TBC Kart Racing in Richmond. Some of the checkpoints also are providing some participation freebie stuff as well..., I will leave that as a surprise! PLUS ==> CASH prizes for top 3 Poker Hands. The rally will take about 5.5 hours to complete and at the end we have a wonderful banquet dinner at Mt Washington Resort! Dang, too bad I'm more than half way across the country lol. It's fantastic to see these event going on though!! Here is the link to last years event, the first one I ever put on. Well the 2nd Annual Japanese Imports, Poker Run for Camp Shawnigan is in the history books. The weather could not have been better. A big thanks to all those that participated this year, I simply couldn’t do this without you. I trust that everyone had a great time. All the feedback as certainly been positive. I hope to see most of you again next year! A special thanks to Mo Alam for all of his help. Mo was responsible for the selling of the raffle tickets to everyone and he did a wonderful job. The raffle and mulligan tickets alone brought in just under $2,000.00 this year. Also a special thanks to Campus Honda, Duncan Honda, and Nanaimo Honda, for generous cash donations to Camp Shawnigan that totalled $1,000.00. Also big thanks to Donna and John (Mid Isle S2K from the island) for leading us for the first half of the route, which I thought was just amazing this year. · F1 Training donated by Allen Berg Racing School – Kacey (EvoX – Zoomie copilot). · 5 day hotel any major resort in the America’s for one (The Honda Way) – Juanita (S2Ki VI – ssthrd copilot). · 5 day hotel any major resort in the America’s for two (The Honda Way) – Judy (S2Ki Van – notbadd copilot). · 5 day hotel any major resort in the America’s for two (The Honda Way) – Judy (No Club VI – Keyser co-pilot). · 2 ski passes donated by Mt Washington – Paris (NSXPrime VI). 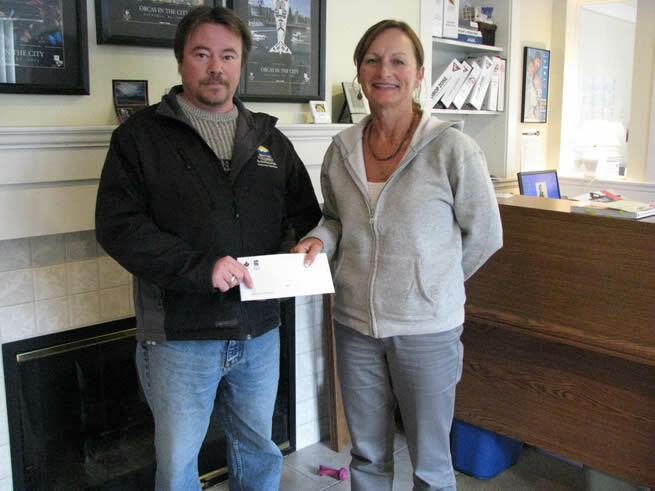 · 2 ski passes donated by Mt Washington – Kacey (EvoX – Zoomie Copilot). · 2 tubing passes donated by Mt Washington – Al (No Club VI Genesis Coupe). · 2 tubing passes donated by Mt Washington – Darryl (No Club VI Genesis Coupe – Ring Copilot). · Golf package donated by Arrowsmith Golf & Country – Paris (NSXPrime VI). · $50.00 gift certificate donated by Modifry Products – Howard (S2Ki VI – GreviusJones). · $50.00 gift certificate donated by Modifry Products – Keith (S2Ki ALB – Kerric). · $100.00 gift certificate donated by Modify Products – Mark (S2Ki Van – notbadd). · Magellan GPS donated by Island Honda – Kacey (EvoX – Zoomie co-pilot). · Tom Tom GPS donated by Island Honda – Colin (Zilvia ALB – Kassroth). · Full Auto Service donated by 5252 Motorsports – Ian (G35Driver ALB – ITNKICN). · Night accommodation and grotto spa donated by Tigh-Na-Mara – Kurk (370z VI – FricFrac). · Full Car Detail, donated by Discovery Honda – Scott (S2Ki VI – sringrose). · Wooden garden lamp, donated by Saunders Subaru – Conner (co-pilot - No information). · Full size survival kit, donated by Saunders Subaru – Al Ring (Genesis Coupe – no club). · Full size survival kit, donated by Saunders Subaru – Ellen (S2Ki VI – Ddonovan co-pilot). · 50% off gift certificate, donated by WindRestrictor – Keith (S2Ki ALB – Kerric). · 50% off gift certificate, donated by WindRestrictor – Steve – (No Club – Perret co-pilot). · 50% off gift certificate, donated by WindRestrictor – Dave (S2Ki VI – Ddonovan). · $100.00 gift certificate, donated by A&J Racing – Kurk (370z VI – FricFrac). · $100.00 gift certificate, donated by A&J Racing – Mark (S2Ki Van – notbadd). · $100.00 gift certificate, donated by A&J Racing – Kurk (370z – notbadd). · Full Size Emergency Kit, donated by Kal-Tire – Al (Genesis Coupe – no club). · Emergency Roadside Lantern, donated by Kal-Tire – Al (Genesis Coupe – no club). · HID replacement bulbs, donated by SHC Autographics - Ian (G35Driver ALB – ITNKICN). · HID replacement bulbs, donated by SHC Autographics – Barbara (S2Ki VI – braindoc co-pilot). · MOMO Italian leather shift ****, donated by SHC Autographics – Mark (S2Ki VAN – notbadd). · Flash Auto Detailer Spray, donated by SHC Auographics – Howard (S2Ki VI – GreviusJones). · $50.00 gift certificate, donated by SHC Augograhics – Tracey (co-pilot – no information). · $50.00 gift certificate, donated by SHC Augograhics – Robert (350z VI). · $50.00 gift certificate, donated by Crème de La Crumb – Kurk (370z – FricFrac). · Free Race, donated by TBC Kart Racing – Kurk Daughter (370z – FricFrac co-pilot). · Free Race, donated by TBC Kart Racing – Tracey (co-pilot – no information). · Free Race, donated by TBC Kart Racing – Art (BC240 – Artem). Many people went home with freebie door prizes as well, as a matter of fact I don’t think anyone went home without something. Stay tuned for the final donated amount and hope to see you all out next year! OK the final numbers are in and all outgoing cheques have been cashed and all gifts awarded and received. I will be providing a cheque to the Lions Society & Easter Seals Services, the group responsible for running Camp Shawnigan. The total amount raised for Camp Shawnigan was an awesome $4,000.00. We were $200.00 short of making the 4K mark and at the last minute Mark K from the island S2000 owners group picked up the slack and donated an extra $200.00..., THANKS MIKE AND FAMILY !!! That is truly great! It is $1,200.00 more than we raised and donated last year and will allow an additional two kids to camp this upcoming season. I want to thank all of those that participated in this year’s event. I think all had a very good time and were pleased with the way things went. I also want to thank all the sponsors who really stepped up and donated a lot of great stuff to the cause. I am pretty sure almost everyone went home with something. I also want to thank the checkpoints that volunteered to help us out. They supplied volunteers to do the cards, some provided us with raffle items and give away gifts and some others supplied cash donations. It is all greatly appreciated. Lastly I want to thank Mt Washington for once again providing us with an excellent venue and meal. They as well threw in a small cash donation and as always were very pleasant and easy to deal with. I will be handing over the cheque this upcoming Friday October 28th. Anyone that wishes to come with me to donate the cheque is welcome to come along. I want to get a photograph to post up on the forums of us making the donation. The planning for this event takes about 4 - 5 months to complete. That is when I do it all myself. Next year I plan to open the event up to all Imports. I really want to make this a big, well known event and really help out the kids at the same time. To achieve my goals I am definitely going to require some assistance. The areas that need people will be for getting participation and registration, someone working on sponsorship including raffle items. I am more than willing to do either one of those but would like help with the other. Look forward to hearing back from me again in the February time frame to start the planning phase all over again including the first part, getting a date. See you all in 2012 I hope. Have a safe and wonderful Winter..., see you in the spring! And help me get the word out! Camp Shawnigan Says a big THANK YOU !! !